WHEN PICTURING MICHIGAN, we often think of the heyday of Motown and the automobile boom of Motor City. We envision the historic buildings of Detroit and lazy cottage-goers relaxing on weekends along the shores of one of its more than 11,000 inland lakes. 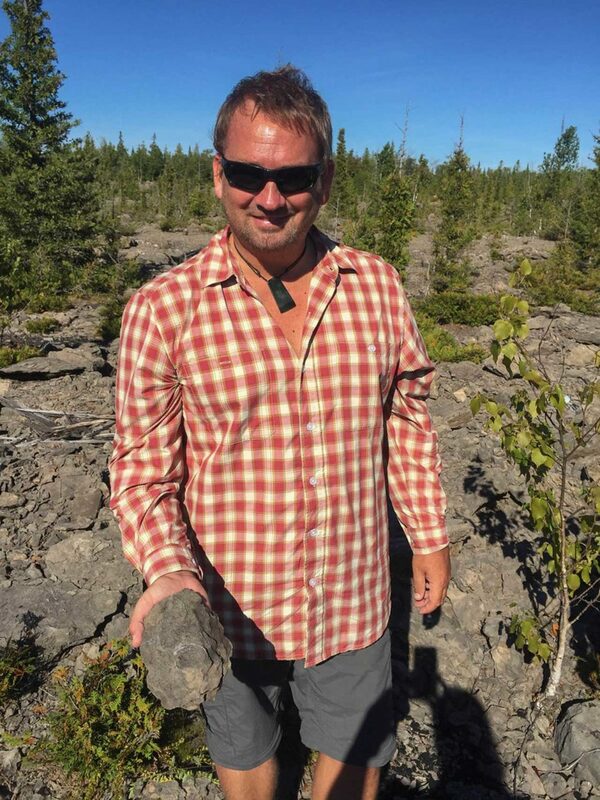 But while visiting Northern Michigan in the summer, we learned there are exciting outdoor adventures we didn’t even know existed in the Great Lakes State. So we thought we’d give them all a try. The waters of Lakes Huron, Michigan, and Superior are littered with hundreds of shipwrecks resting on their sandy floors. It’s normal to think of scuba diving as confined to ocean environments, but it can be amazing in lakes, too. The world-class scuba diving here has attracted the likes of Jean-Michel Cousteau and the discoverer of the Titanic, Robert Ballard. 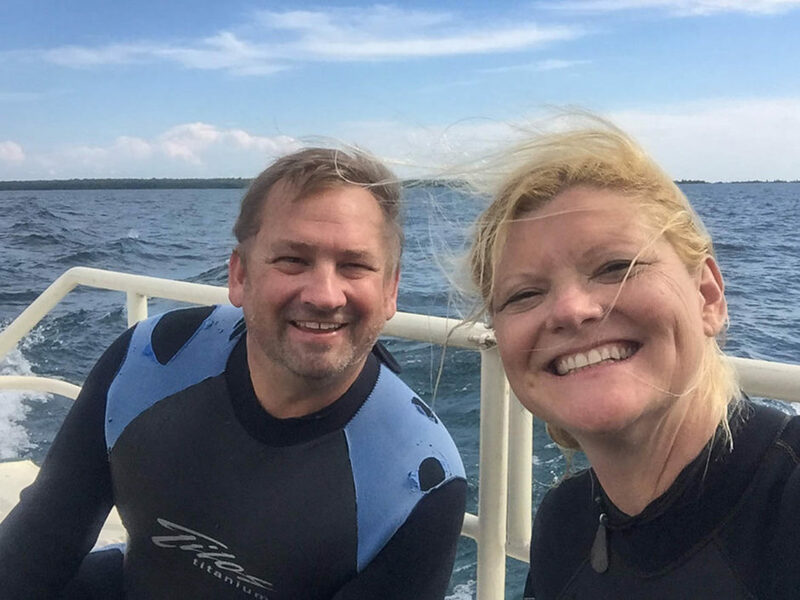 We had the chance to explore a couple of wrecks around Beaver Island as we sailed around the beautiful archipelago with Paradise Bay Charters. Many wrecks lie in super shallow waters, but avid divers will want to (and can) explore the ships that have sunk to more remote depths. One of our favorite things to do when we get out of the city is marvel at the night sky. 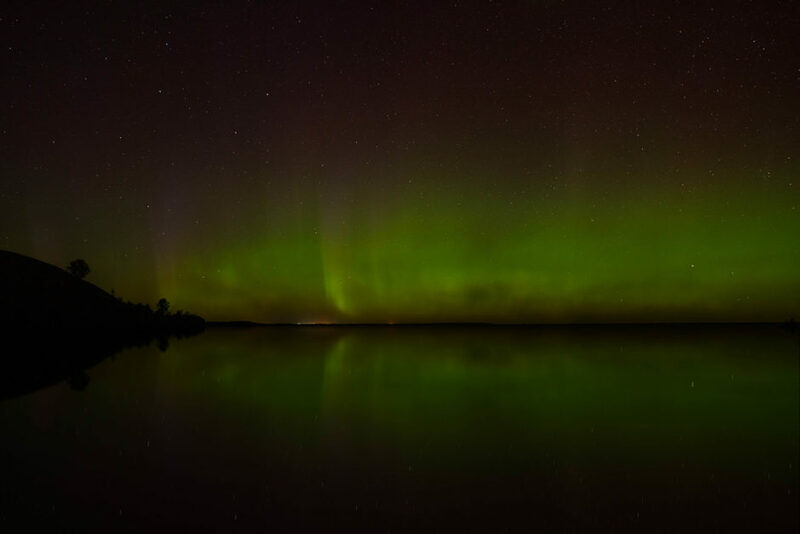 The lights and pollution of urban centers often block the dazzling nighttime display, but Northern Michigan takes you away from the streetlights, office buildings, and billboards. Much of the state is free of city lights, and that’s why Headlands International Dark Sky Park is located right here. 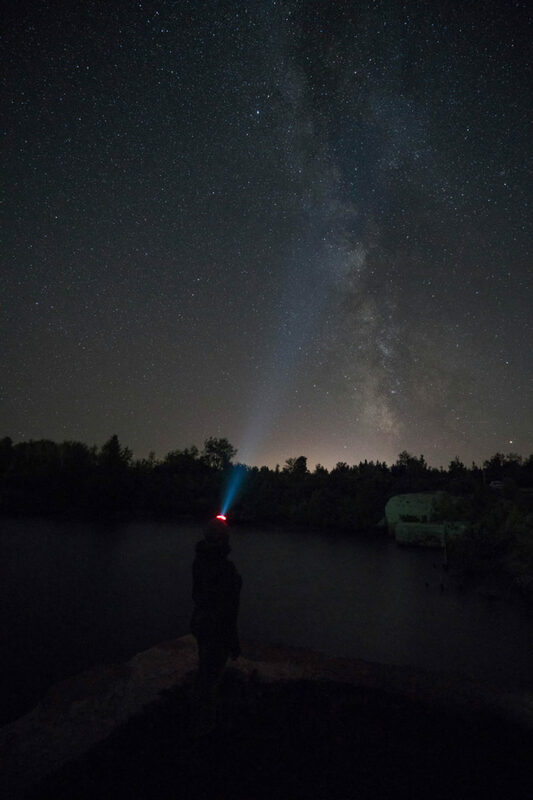 Beaver Island offered us clear sky views, and Rockport State Park has a dedicated dark sky preserve. These are three excellent locations, but there are great spots all over Northern Michigan to sit back, enjoy the stars, and marvel at the Milky Way. Whenever we go abroad, we always seem to try stand-up paddleboarding (SUPing); it never occurred to us to try it closer to home. Northern Michigan is the perfect spot to give it a go — in the calm waters of secluded bays and harbors, you can hop on a board and explore the coast or head out to see some of those shipwrecks. 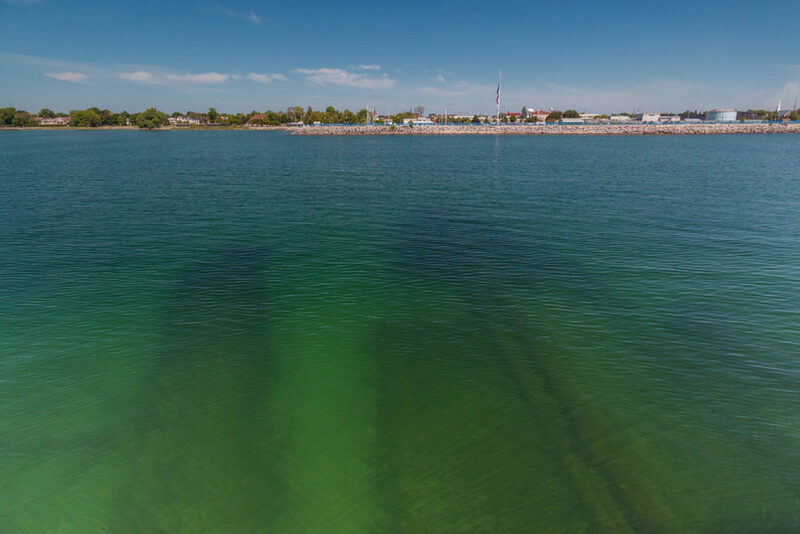 Just off the shores of Alpena, there’s the Thunder Bay National Marine Sanctuary, where nearly 100 shipwrecks lie at the bottom of Lake Huron — and that’s just within the sanctuary. 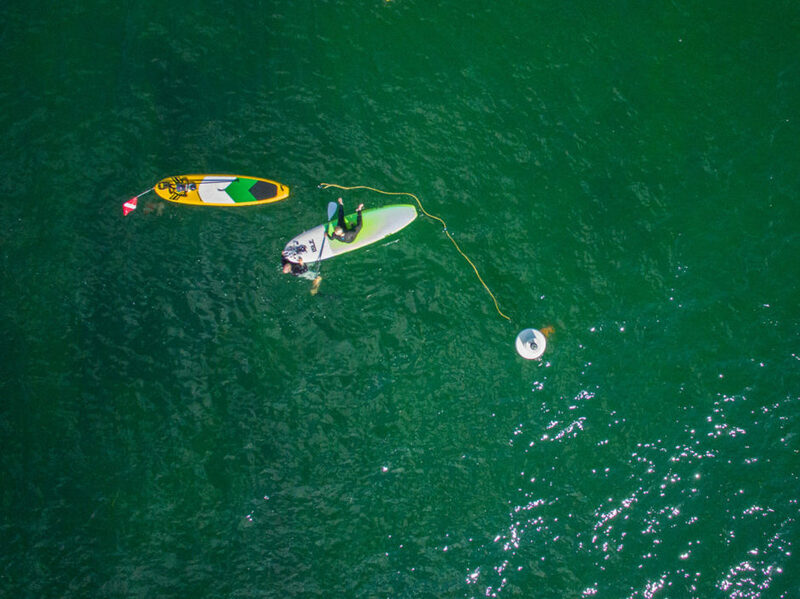 Many wrecks can be explored from shore, and the most exciting way to get out to them is definitely by SUP. If you aren’t experienced at paddleboarding and don’t know the waters, we highly recommend hiring a guide. Instructors can be booked through Performance Locker in Alpena. Entering an abandoned, roughly 300-acre limestone quarry just outside of Alpena feels like you’ve stepped onto the moon. As we walked along the rugged trail in Rockport State Park, we stopped at a lookout to take in the views of Lake Huron and the lunar landscape. The quarry is covered with 400-million-year-old fossils. Blanketed, even. At first we didn’t know what to look for, but armed with our fossil chart, we quickly learned to spot the endless supply of fossilized prehistoric creatures. If you’re an avid fossil collector, be sure to bring a bucket with you. Visitors are allowed to take 25 pounds per person each year. Yep, they’re that abundant. If you haven’t caught on yet, the Great Lakes are as big and beautiful as an ocean. When paddling on them, you feel like you’re kayaking in the sea. Waters can be as smooth as glass, or at other times rough and wavy. 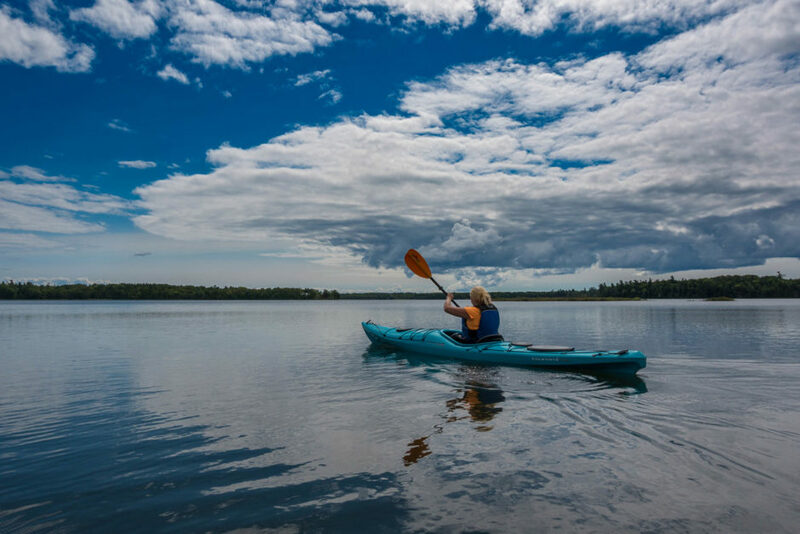 With rugged cliffs, towering dunes, and remote beaches, a sea kayaking trip along the shores of one of the Great Lakes is an adventure you won’t want to miss. Avid paddlers can kayak on their own, but if you’re new to the sport, hire one of the many local guides in places like Charlevoix, Petoskey, or Beaver Island to take you out for an afternoon or a multi-day trip camping along the coast. 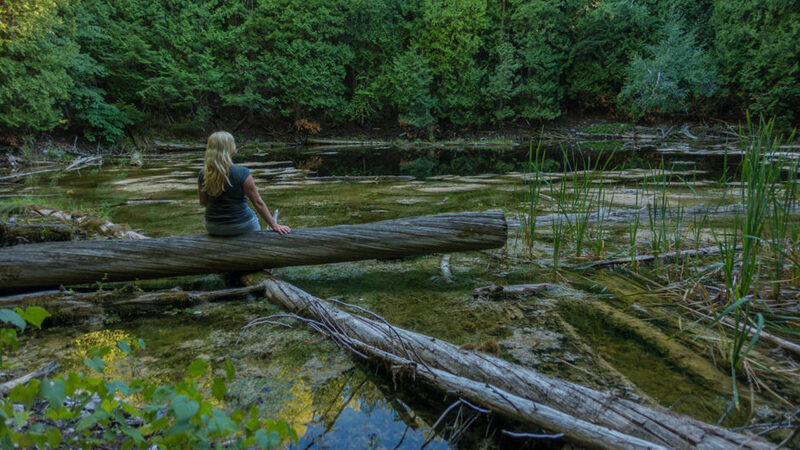 There’s no better way to get in touch with nature and explore the vast waters of Michigan than in silence, paddling the endless waterways of the state. You can leave your scuba gear at home if you can’t fit it in your carry-on — but do bring your snorkel gear. Some of the aforementioned ships are resting in shallow watery graves, and you can snorkel right over them. The waters off the coast of Alpena are some of the most rugged in the area. More than 200 ships have gone down right off this coast — nearly 100 have been protected within the Thunder Bay National Marine Sanctuary and are waiting to be explored. We snorkeled over ships resting in as little as 15 feet of water, and there are plenty more all over Northern Michigan that are just as accessible. Be sure to hire a local guide to navigate these waters and help you find the best wrecks. What you’ll see is living proof of just how treacherous and unforgiving the Great Lakes can be. Rockport State Park has plenty of trails for mountain biking and hiking, but if you’re looking for something unique, step off the path in search of sinkholes. There are a dozen sinkholes within the recreation area — the deepest plunges almost 100 feet into the earth. Some are filled with water that scuba divers and scientists have tried to explore. They’ve gone down as far as 80 feet into sludge, but no one has reached the true bottom. Nobody knows just how deep these sinkholes go. The natural forest surrounding this karst landscape is pristine, and the sinkholes have their own ecosystem with fish and amphibians thriving in the unique environment. Just be sure to grab your 25 pounds of fossils after your hike — you don’t want to be lugging those around on your sinkhole hunt. Michigan has a whopping 3,288 miles of shoreline. For reference, that’s pretty much the same amount as the entirety of California! 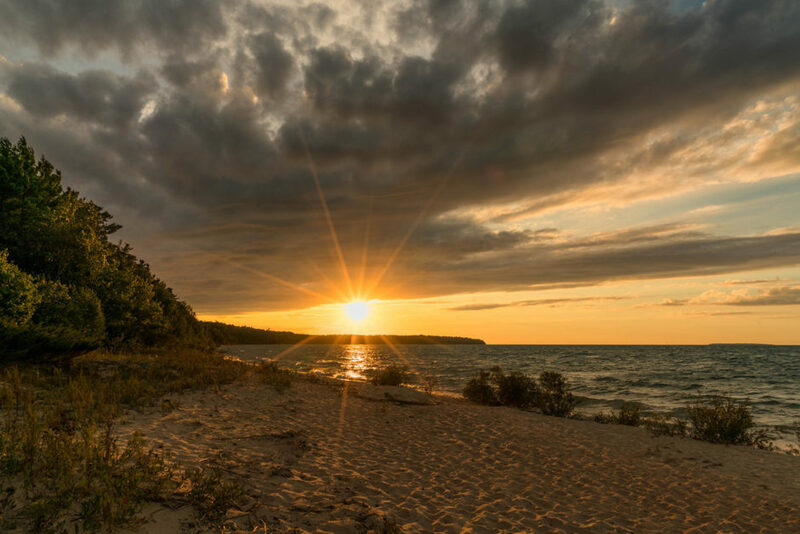 When visiting Northern Michigan, it struck us just how much the beaches were reminiscent of those in the Caribbean…it was hard to believe we were standing in the heartland of America. The powerful Great Lakes feel more like oceans, complete with rolling waves splashing against endless sandy beaches. But in Michigan, the beaches are secluded — you’re not fighting over towel space or dealing with hordes of loud teenagers (and no one expects you to have an amazing tan). We had a stretch of sand all to ourselves to bask in the sun and dip our toes in the water as we watched the sky explode with color at sunset over the waves. Most people think you have to go to Alaska or somewhere equally remote to see the Northern Lights. But Northern Michigan, true to its name, is surprisingly far north — if conditions are right, you will see the aurora borealis. They normally sit a little low in the sky, so be sure to park your eyes somewhere with an unobstructed view of the horizon, like near the water. Lake Huron and Lake Superior are both great places to watch the sky light up. During one of our many evenings staring at the night sky, we saw the lights dancing above us. At first we weren’t sure what our eyes were witnessing, but as we drove farther from town, we saw the Northern Lights flashing vivid colors of greens and pinks. It went on for hours, moving across the sky, forming a band, and then changing to lines and dots. In a word, it was spectacular — just like our entire trip through Northern Michigan.